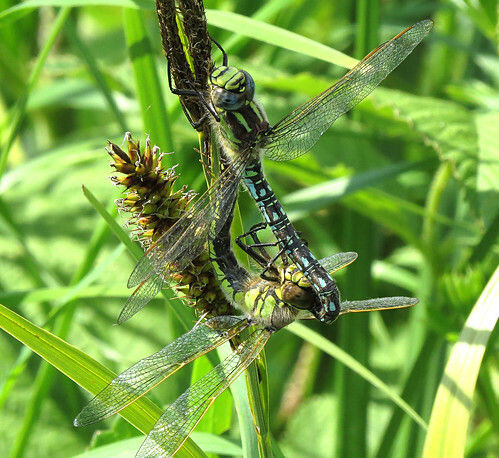 The hot spring temperatures of late May ensured Hairy Dragonfly Brachytron pratense was numerous at Tophill Low NR in East Yorkshire over the Bank Holiday weekend, and it was no surprise that a new site record of 55 were found on May 27th eclipsing the previous site high of 25 in June 2014. 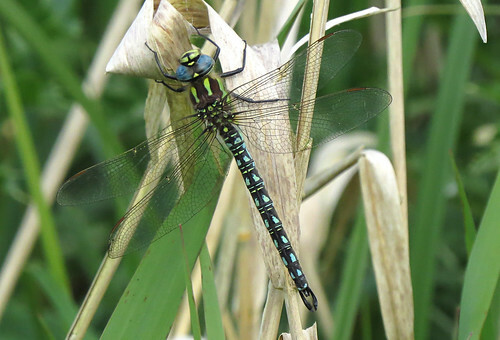 First recorded as a confirmed breeder on site just 12 months ago, it is incredible that a species once considered almost, if not extinct, in Yorkshire as recently as 2006 can now have colonized many of the waterways in the Vice County in just over a decade, with the first confirmed record at Tophill Low occurring as recently as 2009. 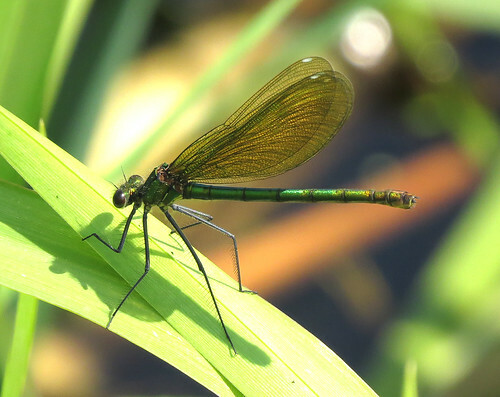 Banded Demoiselle Calopteryx splendens are predictable in that they make sporadic appearances on site, and are always a pleasant surprise. This female on the 27th the first since a male was present alongside D reservoir in August 2015. 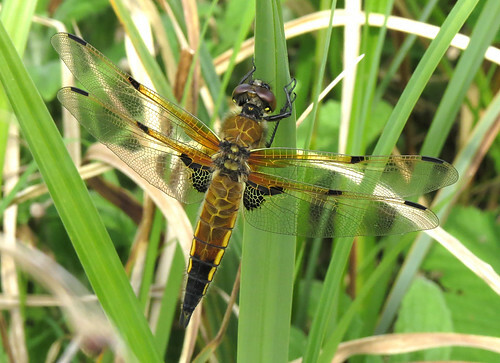 Four-spotted Chaser Libellula quadrimaculata have been noted in good numbers in recent days – over 200 were seen on the 27th, and several Broad-bodied Chaser L. depressa were seen over the weekend. 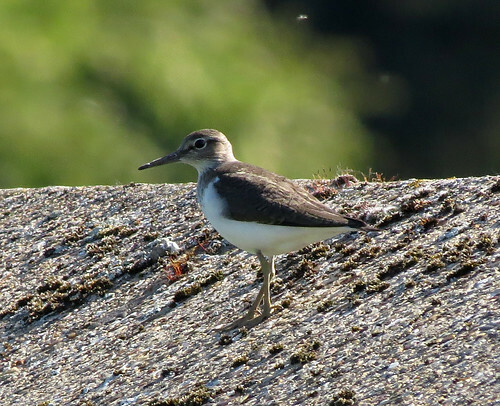 A trickle of spring wader passage continued, including this Common Sandpiper Actitis hypoleucos on the 23rd on D reservoir wall, while two Ringed Plover Charadrius hiaticula were present on South Marsh East on the 30th. 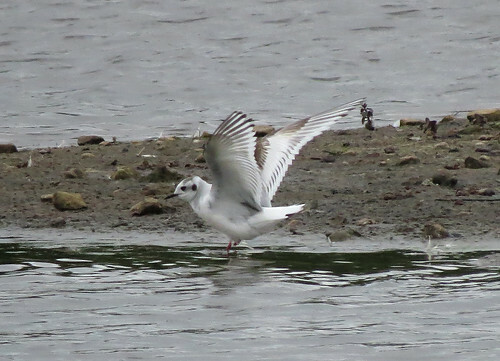 Little Gull Hydrocoloeus minutus appear in small number each spring, so it was no surprise to see one on the 27th, with three present on the 29th until the month’s end. 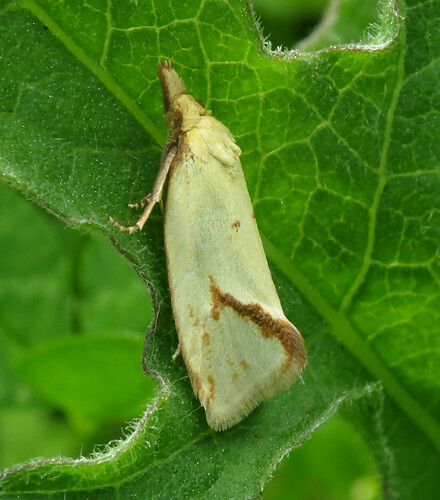 With May having already provided both new species and scarce moths for the site, the month ended in style with this Eupoecilia angustana on the 27th. 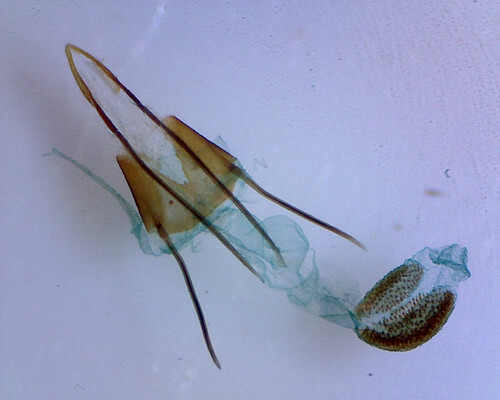 Meanwhile, dissections of moribund moths found in the traps on the 24th yielded Coleophora albicosta and Phycitodes maritima – the genitalia plate of the latter species photographed by Doug Fairweather below. Both new species for the site list. 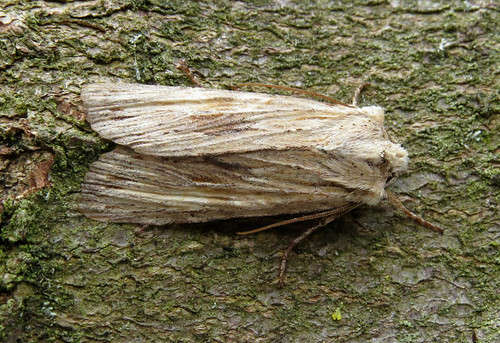 There was also a splendid supporting cast as dissections of a Dichrorampha species trapped on the 17th and 18th determined them to be D. acuminatana – the first site records since 1996 – the 1996 record was the first for the Vice County (per Yorkshire Moths), and a Pale Pinion Lithophane socia trapped on the 21st was the third record following singles in 2009 and 2016. Meanwhile, a second Ochreous Pug Eupithecia indigata was trapped overnight on the 28th – following the first site record earlier in the month. 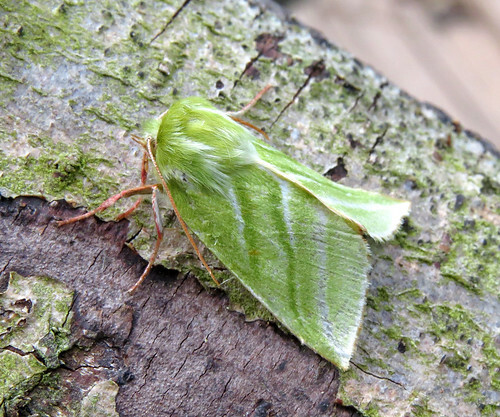 Green Silver-lines is still considered a Tophill scarcity despite regular trapping commencing in 1992 – two so far this year included singles trapped on the 26th and 30th. Bright sunny days during the closing days of the month saw numerous moths recorded during the daylight hours – including the first Agapeta hamana of the new season, along with the stunning white Elachista argentella and Lathronympha strigana – the latter which will hopefully appear in higher number than in 2016. 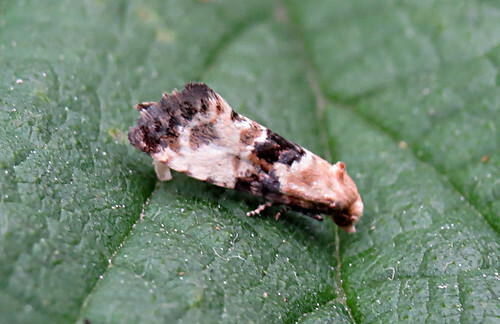 By the 31st, a minimum of 173 moth species have been recorded at Tophill Low NR during 2017 – in context, this time 12 months ago saw the milestone of 100 species recorded by May 31st reached for the first time, while going back to the year 2000 (per HWVG report) only 110 species were recorded in a calendar year. 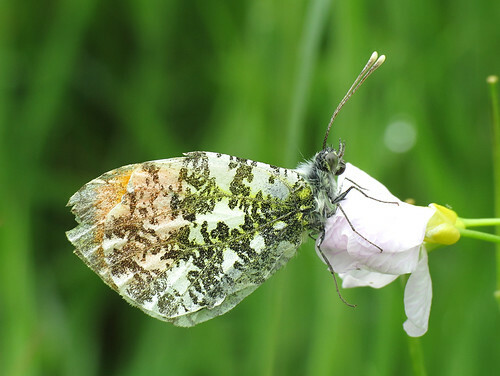 Orange-tip Anthocharis cardamines have shown well during the spring, and double-figure counts of Common Blue Polyommatus icarus were noted in the final days of the month. Meanwhile, Brown Argus Aricia agestis was on the wing from the 22nd until the month’s end and appear to be the first spring records for several years.